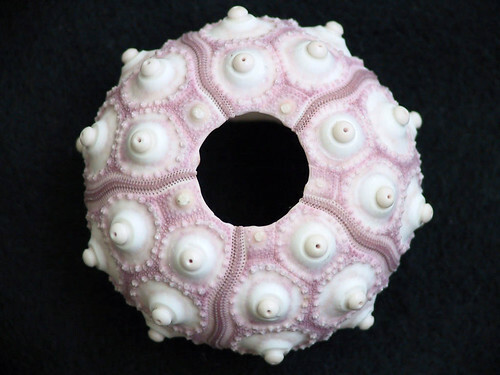 The Echinoblog: The Sea Urchin Skeleton as Art! Natural and Enhanced! 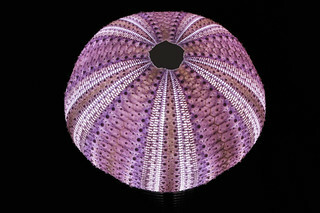 The Sea Urchin Skeleton as Art! Natural and Enhanced! 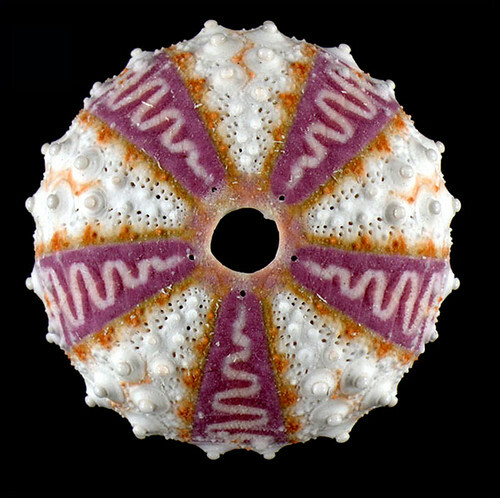 There is a natural and wonderful symmetry to many natural objects and echinoderms have always had a certain appeal to folks with artistic natures. 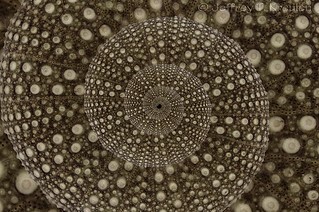 Their skeletons are pentameral and often have no shortage of patterns and visually interesting processes. 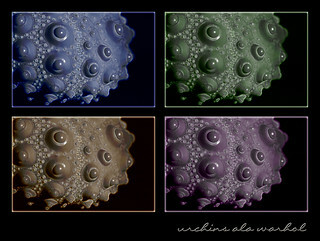 Go here to seem my SEM odyssey of the urchin test! Sea urchins are no exception to this-and everyone I know who has ever found an intact sea urchin (or sand dollar) test on the beach is always delighted. 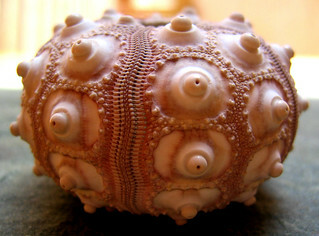 A "test" is the name of a sea urchin skeleton. They don't have "shells". 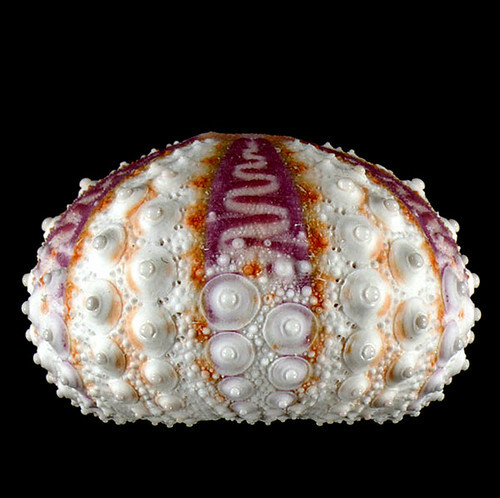 Here's a nice example of a cidaroid sea urchin test. The spines attach to the "knobs" (called bosses) that are present on its surface. Today, I thought I would present some of the many delightful examples that many of these tests have found their way into the creative processes of the wonderful artists on the Internet! 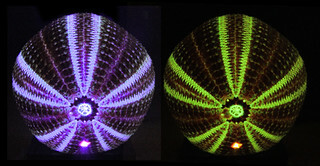 Then compare below with some examples of sea urchin tests with their own innate artful patterns! "Algae Bloom" Image also by Selene Vomer. 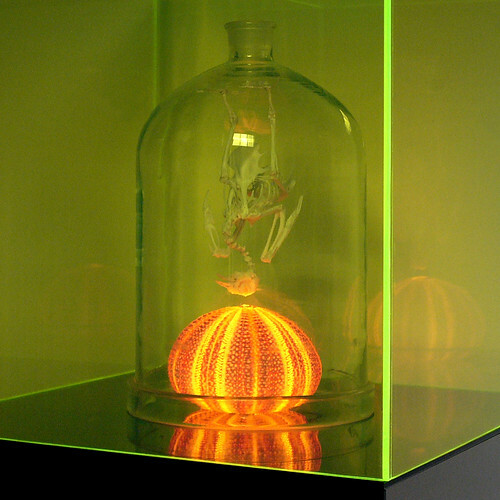 Chicken skeleton over urchin skeleton. Hm? 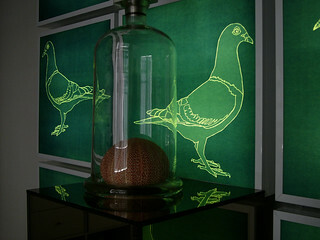 "Phosphorflock" Pic by Selene Vomer. I think its supposed to represent some kind of egg? 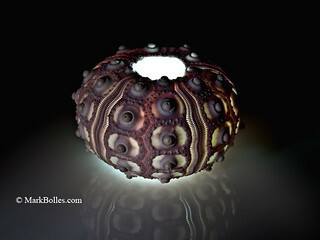 Another urchin test. 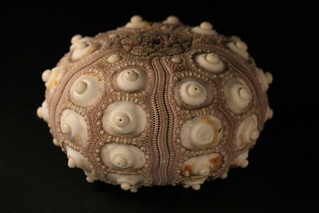 Image by "fontplaydotcom"
The test of Coelopleurus exquisitus, a recently discovered New Caledonian sea urchin species, described by my colleague Simon Coppard, who found tests of this species on Ebay a few years ago! Amazingly, the patterns? ARE NATURALLY OCCURRING. Those are on the test under the spines and all of the other structures and skin on the surface! They don't disappear after the animal has died. 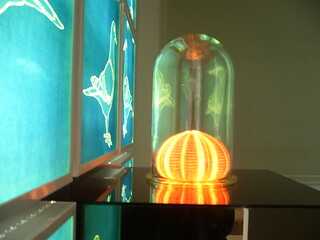 They are ingrained in the mineral structure of the test. 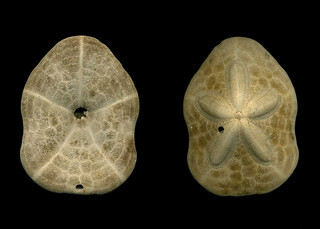 and we didn't even get started on Irregular urchins like Clypeaster and the other Sand Dollars..
HI! 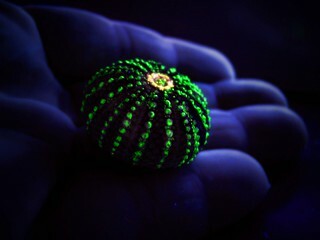 I'm traveling through Baja Sur, Mexico and found a sea urchin on the beach. 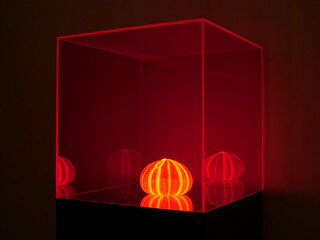 I wanted to find out what kind it was so I can talk about it on my blog. Lo and Behold I found your site. What fun!!!! I love it. I hope to put a link to your blog on mine, but in the mean time I spent too much time reading yours and mine's not getting finished. Ha ha ha. Thanks for such inspiring enthusiasm!